As I was wandering through the world wide web the other day I suddenly noticed a name of a man I hadn’t seen in quite a while - Mike Aldren. Aldren’s name was mentioned with regards to allegations he’d made about the Wrestler’s Rescue charity, an organisation set up by former WWE and ECW star Dawn Marie Psaltis. For the few of you who don’t know, Aldren has basically accused Dawn Marie of setting up the charity to steal money. Open letters from both sides can be found online, as well as other statements from people associated with Dawn Marie. So why am I suddenly jumping on the bandwagon? It’s simple really, because I’ve seen it all before. You see, Mike Aldren, as the great Gene Hunt would say, has previous. I first encountered Mike online way back in 2000. The Two Sheds Review was in it’s early stages, and Mike was the editor of the Essential Wrestling News e-mail newsletter, which was affiliated to the once-great Smash Wrestling. 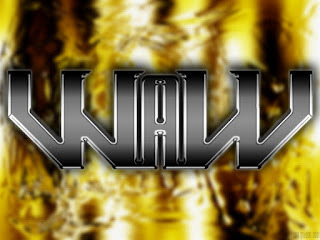 EWN was one of the many e-mail newsletters I received at the time, back in the day when they were the in-thing, and while some of them were awful, and those running them didn’t know how to string two words together, EWN was one of the best. But in my opinion it wasn’t THE best. I wrote a column where I reviewed the various newsletters, marking them on content and such, the usual thing, and although I gave EWN a very high marking, I have a higher one to The Chokeslam Newsletter. I did so because I thought it was a bit better than EWN. It was as simple as that. Mike wasn’t too pleased to say the least. Within a day of my review going out I got an e-mail heavily criticising my column. He just couldn’t work out why I liked The Chokeslam better than EWN. He thought that EWN should be recognised because it had over forty thousand subscribers, while The Chokeslam had just over six thousand. No matter what I said, Mike wouldn’t accept my opinion. I was in the wrong, and he was in the right. But things didn’t end there. Mike seemed to take great delight in sending me numerous e-mails over the next few years. These messages just seemed to contain insult after insult, until I’d had enough. I posted a column on my website telling my side of the story, telling the world how this supposedly mature wrestling journalist had spent a great deal of time insulting me. I then left it at that. Until I got another e-mail from him many, many months later. Mike demanded that I remove the column from my site, saying that it may stop him from gaining future employment, telling me that it was his right not to be referred to in this way on the internet. Naturally I refused. Mike would again come into my life around 2002-2003. By that time I’d been diagnosed with clinical depression, and I was under treatment from my doctor. Mike seemed to find fun in my situation. He even went as far as to threaten to “expose” details about my condition. I told him to go ahead, because I had nothing to be ashamed of. That was the last I ever heard from him, thankfully. His name would crop up on the internet from time to time in various stories. There were rumours that he’d been in touch with various people in the wrestling business claiming to be a high-ranking official within the WWE’s British arm. There’s also the story of an altercation with the Honkytonk Man, something I’m sure you’d be able to find on Google if you looked hard enough. Since then Mike’s carved out a nice little career for himself writing for The Sun’s online wrestling page. I also heard that he also runs another e-mail wrestling newsletter. As far as the allegations made towards Dawn Marie and the Wrestler’s Rescue, I can’t really comment. I have to admit that I don’t really know enough about the organisation or the work it does. But I do know this - Mike Aldren is the sort of person who does this sort of thing just so he can get attention, and with this latest allegation he’s certainly done that. Mike is a good writer, and he’s done well to get where he is today. It’s just a shame that his attitude is so damn poor. It makes me wonder just how much longer he’ll go on making allegations like these. If I could give Dawn Marie a piece of advice, it would be this - take everything he says with a huge pinch of salt, because he’s done this sort of thing before, on more than one occasion.